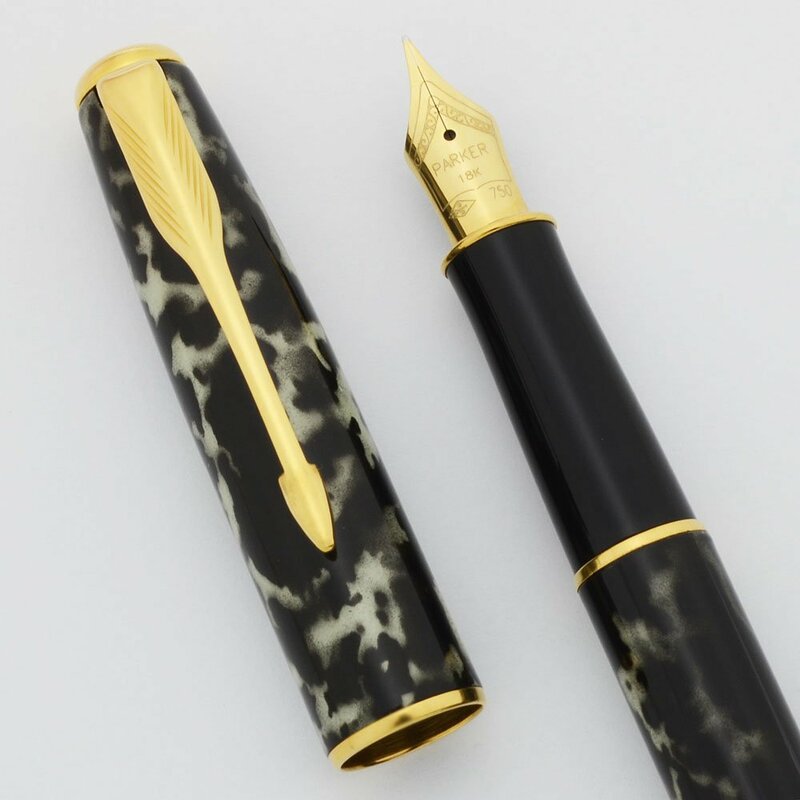 Parker Sonnet fountain pen, this is one of the launch designs, Laque Moonbeam, with gold plated trim. 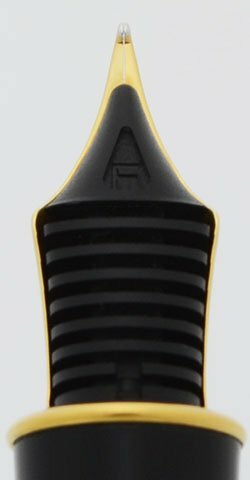 18k fine nib. Near mint condition with piston converter installed. Type Modern cartridge/converter filling fountain pen with hand-painted barrel. Manufacturer and Year Parker, France -- 1993 (The date code is a clear IIL), the line formally launched in 1994. Filling System Fills via Parker-style cartridges or with a converter. A Parker piston converter is installed. Color Black and white mottled lacquer called "Laque Moonbeam" with a very narrow cap band. The trim is 23k gold plated. Nib FINE 18k nib is very smooth with lovely tipping. It is springy. It is a single tone nib with a feed labeled F.
Condition Near Mint condition. The lacquer is completely intact with no missing flakes of finish and light handwear. There is one fine scratch on the cap. It is very hard to see but can be felt when you run your nail along the cap. The cap imprint isn't worn at all. The nib collar looks perfect. There's no dents or chips.